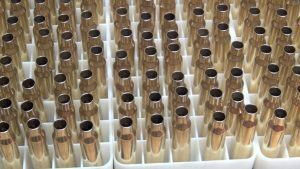 Home » Reloading » Reloading Brass Vs Nickel Plated Brass: Which One You Should Buy? Are you thinking about to reload your ammo? Trying to save some money by reloading? Can’t decide which metal to go for? Then look no further. Because this article will answer your inquiries. 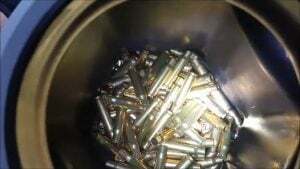 The main two option when it comes to reloading is brass and nickel plated brass. Now both of these have their benefits and downside in many ways. Here I will try to explain the pros and cons of both brass and nickel plated brass. So that you can take a good decision about which one you should go for. One of the most used material when it comes to ammo and reloading is brass and nickel. Nowadays nickel plated brass is also in use in a great amount. There is some definite reason for choosing brass and nickel plated brass for reloading. Brass is mainly an alloy of copper and zinc. It is the one of the primary material for making case for cartridges. The main reason is that Brass is comparatively cheap. It Does not spark easily when comes in contact with other metals. Brass is malleable enough to expand, shape and fill a chamber. It doesn’t split easily. As there is no brass flack in the barrel, it doesn’t scratch the barrel or other gun parts. And finally removing the brass is easier. Just use a good solvent. Despite on tons of good sides, the brass casing has its disadvantage also. The main cons of brass are that it turns to tarnish. This may happen if brass casings are handled repeatedly, stored in an inappropriate place or kept in a leather. New brass is exactly the name said, they are new and never been used. They only have imperfection from the manufacturing process. On the other hand, the latter is once used or fired once from a gun. This one may not last as long as the new one. But still, the decision also includes money and availability. So make your choice. Judge the quality of the brass you are buying. Cause, not all sample will have the same quality as the testing one. So try to find a trustworthy and authorize distributor. And make sure the weight and thickness of the brass casing are constant in the same lot. Otherwise, it will become difficult to maintain safety and proper order. Almost all retailer offers a huge discount on purchasing in a great amount at a time. So don’t forget to push your luck a little further and get as much as the discount you can get. This will save you a lot of money on the go. Primed brass is easier to use in the first round as you can use it right after inserting. But you have to change the powder and temper to make everything goes right. But with the unprimed one, you don’t have to change anything. This one is cheaper as well. So the decision is yours to make. Now let’s discuss the nickel plated brass. Nickel plated brass is still brass with a coating of nickel on the surface done by electroplating. The core is pure brass. Nowadays many professional companies have started nickel plated brass in their manufacturing process. The reasons behind choosing the nickel plated brass are quite a few. Nickel is more corrosion resistant than brass. It does not tarnish even if kept in leather holster, unlike brass. The coefficient of friction is lower in nickel then brass. This allows easier sliding of the magazines on top of each other. The loading and unloading are also easier with the nickel plated one. When it comes to the disadvantage of the nickel plated brass, the price is the main concern. The nickel plated one is more expensive than the regular brass one. Somehow this one is more prone to splitting at the neck or head than the brass one. Since this one has two different metal combined together, the all over metallic characteristics are different. So you may need to adjust different at the time of modification of the reloading. And also as nickel is harder than brass, it may flake and get into dies. This will stick into the reloading die, scratch die and continue doing so in rounds later on. Nickel plated brass also is not constant when it comes to the volume. It may be a matter of concern if higher pressure rifle cartridge is used. But it will not affect noticeably if you are using a small handgun. And removing nickel from the barrel is harder than brass. You have to use a good quality brass to do so. Now all the pros and cons of both brass and nickel plated brass has been discussed, it’s your turn to decide. Go for the one that suits your needs the most. Since the main aim of reloading is to save money, you can go for brass if the other cons don’t bother you as brass offers lots of benefits in low price. There are many other options to buy brass at a cheaper price. But if you decide to go for nickel plated one, it’s still a good option to try. Just remember, the coating is only nickel, the core is still brass in this case. The nickel plated ones are corrosion resistant and remain shiny after a long time. The main problem with the nickel plated one has to do with the reloading. But still, find a good one to get your job done. Don’t forget to check the metal quality before buying them. And give a trial each time before you are going use them for real.